Advanced Warehousing functionality is a notable part of the April 2019 release plans for Microsoft Dynamics 365 for Finance and Operations, also known as version 10.0. The advanced warehousing module (WHS), licensed by Microsoft through Blue Horseshoe, adds tools for businesses with complex fulfillment and distribution requirements. 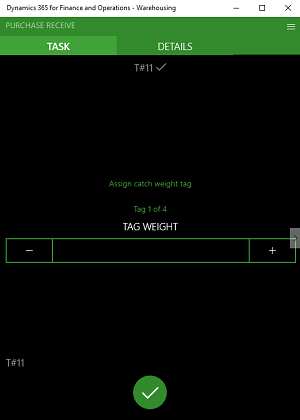 Catch Weight - Industries, like food manufacturing/logistics and chemical, can now manage catch weight products with warehouse management processes. Catch weight products are products that may vary by weight and/or size. Unit of Measure Conversion by Variant - This feature supports warehousing operations that have variable product dimensions or pack configurations at the product variant level within the facility.